Patrick Maillard created the IMMOMIG AG in 2004. His motto is “Never stop believing in success!". All beginning is difficult, we all know. Despite of all, the young company founder won with his startup the contest "Venture of leader" in 2007. The organization "Venture Lab" organizes a contest in universities every year, to identify and to reward the best startup ideas. So our CEO had the possibility to undertake a journey to Boston together with approx. 15 other startups. Today Mr. Maillard is even in the jury and can decide who may participate in this journey and who the winner with the best idea is. How a former winner does now even sit in the jury? The reason is that the enterprise would like to transmit a part of their success and wants to support so future Startups. It is already unusual that this firm belongs today as one of the sponsors. Just for our small country startups are not to be underestimated. Certainly, Switzerland belongs to this day as one of the most innovative countries; nevertheless startups must be supported and be promoted. 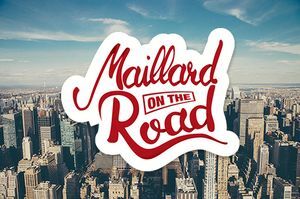 As a sponsor for "Venture Leaders" Mr. Maillard will take part that numerous young entrepreneurs undertake a journey in the USA or China and can collect so a big amount of new, helpful experiences for their enterprise - just like he himself some years ago. Today Mr. Maillard leads a firm with over 30 employees, 550 customers and 2500 users. So it pleases him and us as employees to transmit some of our success to young entrepreneurs. This year the event takes place in New York City from the 10th to the 16th September. Last year the entrepreneurs could collect numerous experiences in China.